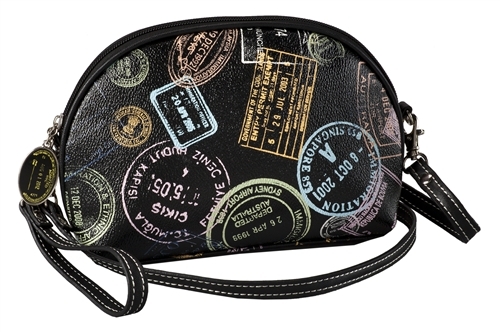 Colorful and fun passport stamps from around the world printed on soft black faux leather. This bag doubles as cross body or cosmetic bag. For those occassions when you want to keep close all that's valuable and expensive. Includes both removable wrist strap and 44" removable/adjustable cross the body long strap. 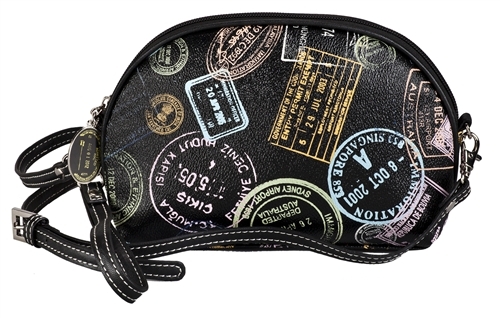 Spacious open interior has slide pocket and zippered pocket. 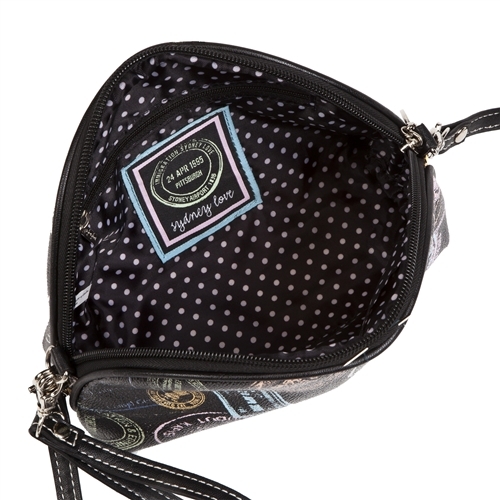 Fully lined with signature Sydney Love polka dot material.